There was genuine rhythm with the goaltending pair of Adin Hill and Hunter Miska this season. 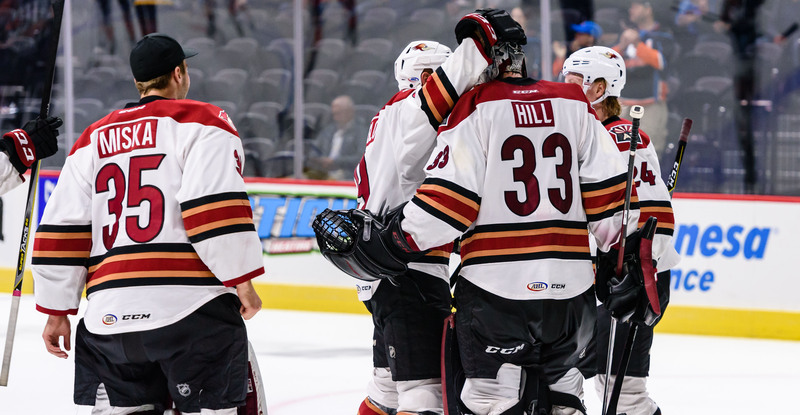 More often than not, with the Roadrunners' schedule saturated with back-to-back sets, the club flip-flopped between netminders; Hill getting the call for 33 starts, Miska 32. With relief appearances involved, both played in 36 games. 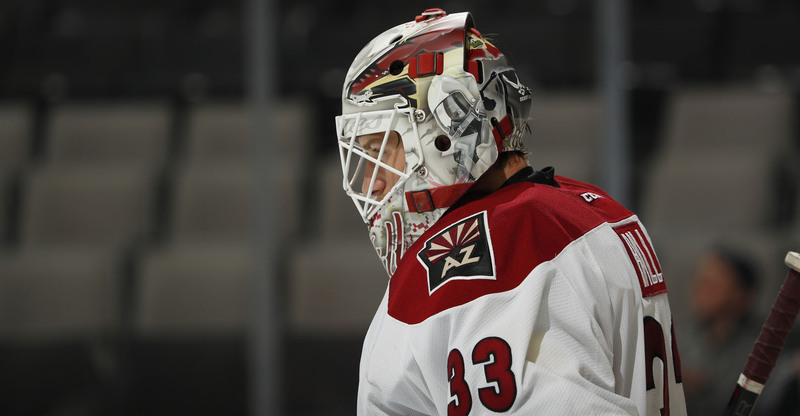 Upon his return to Tucson on March 17 from a recall with the Arizona Coyotes, where he notched his first-ever NHL win making 34 saves in a 4-3 shootout victory over the Los Angeles Kings, Hill was downright stellar. He finished the regular season playing arguably the best hockey of his career, posting a 5-1-1 record with three shutouts in eight starts leading up to the postseason. Hill’s resurgence went back even further, beginning immediately after the All-Star break, where thereafter, he was almost unbeatable. In his final 15 starts, he went 10-1-3 with a .926 SV% and a 1.75 GAA. When it comes to steady play, Miska, who finished the year winning six of his final seven decisions, kept the Roadrunners’ goaltending cycle in-sync with a phenomenal first year, finishing second among all rookie goaltenders with 22 wins. Miska was magnificent on the road, posting a 13-3-0 record in opposing buildings, and perfect in overtime, leading the Roadrunners to a 7-0 record in games that extended past regulation and into three-on-three sudden death. Entering the playoffs, Hill was tabbed as the team’s go-to goalie, starting each and every one of the nine postseason games played, a string of performances that included a pair of shutouts and a streak of 176:48 minutes without allowing a goal. As the offseason begins to take on life, both goaltenders plan on putting together strict training regiments to come back next fall. 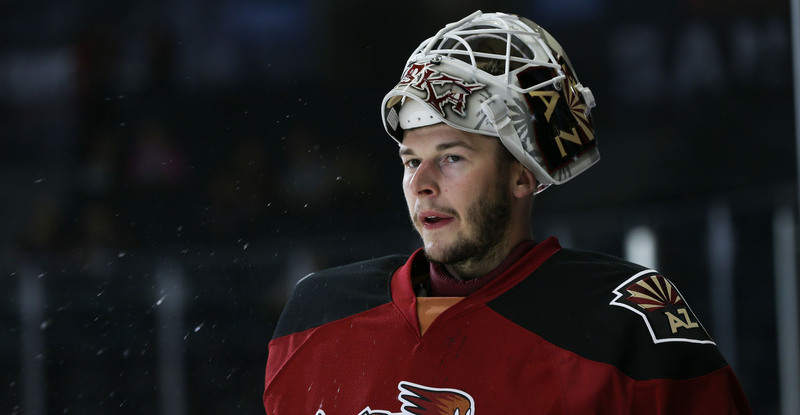 Hill plans to spend some time in Toronto to work in person with goaltending coach Jon Elkin, while Miska’s intentions are to keep lessons learned from the Roadrunners' goalie mentor close as he works in Minnesota.